I had quite a large number of updates yesterday and they installed fine. As I recall there were some Updates for Gnome, as well as Nvidia and a new Kernel. Today I discovered it cannot display chinese/japanese characters anymore. It is happening in every installed browser and even on the UI as you can see on the Window Title. I tried in Firefox, Vivaldi and even Chromium. 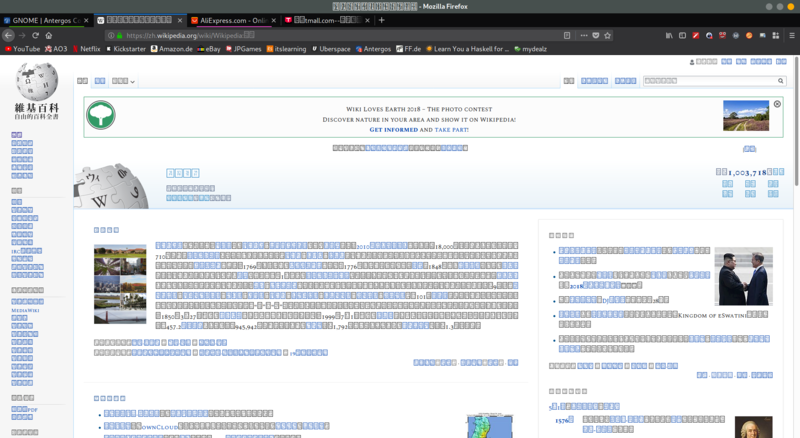 I tried some solutions with changing language display for firefox I found on Stackoverflow, but nothing helped.